Don't forget to enter my Stonyfield Picnic pack giveaway! Ends July 15th! The young girl stomped in, slamming the door and stomping up the stairs to her room. Slamming the door behind her and turning her radio up too loud. Her mother recognized this behavior immediately, another tough day at school, undoubtedly having to do with the popular girls. The mother let’s out a heavy hearted sigh. She understands this middle school angst, having lived through it herself. I’ll give her a few minutes to herself she thinks. She occupies the other children with a snack and their favorite TV shows and steels herself to go upstairs and deal with the preteen angst. She makes her way upstairs and knocks loudly on the poster covered door. No answer, as expected. She sighs and walks in, turning down the the music as she makes her way to the sobbing lump on the bed, careful not to disturb any of the piles all over the floor. “GO AWAY!” her daughter yells, pulling her pillow over her head. The girl starts to sob harder remembering the events of the day. She walked into school with her one friend, trying as usual to go unnoticed. 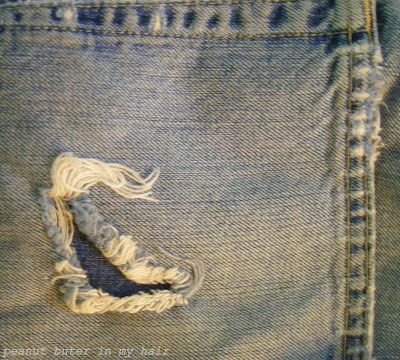 As they walked by the group of “it” girls on the steps she heard them snickering and laughing “nice pants!’ they shouted “hope you dodn’t trip, would hate to see those bright shiny new jeans get scuffed” fits of uproarious laughter followed behind her as she swallowed hard and quickly walked inside. The taunts and laughs followed her all day culminating in someone tripping her as she walked to her table at lunch, bad does not even come close to her day. She should have known better, she should have known her mom would not buy her cool jeans, “not practial” “too expensive”. UGH! She didn’t get it! No one wears jeans like these. Dark, straight, stiff legs. They all have cool designer jeans that sit low on their hips with fades and fancy embroidery on the pockets, not a dark gold wave. Her sobs continue and shake her whole body. The girls sobbing softens into sniffles and she peeks out from under her pillow. “What do you mean?” the daughter asks with an incredulous look in her eyes. The mother stands up and heads downstairs hoping in her heart her daughter will join her. It’s funny, she thinks to herself as she heads downstairs to ready the room; something that started out as clothes for the working class have become such a status symbol for the elite. She remembers having a similar fight with her mother and hearing the stories of her great grandpa. How he would come home in his jeans dirty and dusty form a day of work on other peoples houses and would change into a relaxed pair of chinos. Her mother told her that when she was as young girl (undoubtedly fighting with her own mother over what ever the denim trend of the time was) she asked grandpa why he never wore jeans and he laughed “Ha!Jeans are a working mans uniform! When I’m done working I want to be able to show the world that I am respectable man, and respectable men do not where there working clothes out around town”. The mother sighs as she looks up and locks eyes with her daughter, a shy smile creeping across her face. Working clothes no more great grandpa, she thinks, denim is now what divides the classes! The next morning the girl bounced down the stairs, she was positively giddy and excited to go to school. She was wearing the new skirt they had made together the night before. Shorter than any skirt she was allowed to wear (she was wearing leggings underneath per the agreement) and covered in graffiti and glitter, with a frayed edge and distressing on the pockets. It was the coolest thing she had ever seen and no one at school had anything like it! The girl ran up to her mom who was busy fixing breakfast for the little ones and wrapped her in a big hug. The girls rushes off to school with more confidence than she has had all year. She meets her friend at the gate. “Oh it’s just a couture piece from a little indie designer, it’s one of a kind” the girl says with a smile, and a twinkle in her eye. The friends lock arms and march up the stairs past the “it” girls, only this time there are no wails of laughter. Behind her all the girl can hear are gasps and whispers of amazement and wonder. She holds her head high swelling with pride and a new confidence she has never felt before. 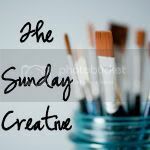 This post is part of The Sunday Creative, my medium is fiction and photography. You can be inspired over at Life Set to Words. To read past fiction pieces I have done, see label stories. What a lovely story - one that most can identify with I think - and a fabulous solution too! First, this kinda makes me glad I don't have a little girl. Second, I was the girl who seriously NEEDED to have the in jeans. I worked for my grandpa doing construction one day to earn them. And I bought those coveted jeans. Those horrible, huge, wide legged Jnco jeans. And I look at pictures and I think, "Oh, my word. My mother actually knew what she was talking about. Those were horrid." Here's to having a crafty mom, though. I'm sure you'll be that mom to a certain lucky girl. That's beautiful, and brought such a smile to my face. I can remember arguments with my dad over his insistence that I didn't wear jeans to church! I can also remember the impossibility of having the 'in' labels on my clothes and now have the same with my children.